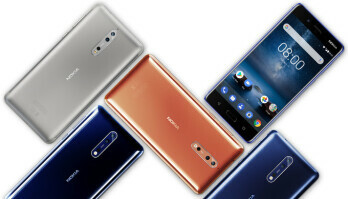 The Nokia 8 which is HMD's top smartphone of this year 2017 might actually be the first Android powered Nokia phone to receive the Android 8 Oreo update and it might be coming soon. A listing which recently appeared on benchmarking platform Geekbench showed the Nokia 8 running on Google's latest OS which the the Android 8 Oreo. Although this isn't enough evidence to conclude that the update will be coming soon, if you remember, HMD already promised that it's smartphones will receive timely updates on regular basis. Also, the HMD Nokia smartphones runs on almost stock Android version which means porting the new update to Nokia phones will be a lot more easier and faster. Also, note that the Nokia 8 will not be the only HMD Nokia phone to receive the Oreo update. According to a recent tweet by HMD's Chief Product Officer, Juho Sarvikas, he assured everyone that all Android powered Nokia smartphone will get the Android 8 update. So if you happen to own any of the new HMD Nokia Android phone, then be rest assured that you will be getting the Oreo update sooner or later.